The search is on for the finest young amateur chef in the country via this kiddie cooking reality show hosted by Judy Ann Santos-Agoncillo and judged by world-renowned Filipino culinary experts. Spiny lobsters, also known as langouste or rock lobsters, are a family (Palinuridae) of about 60 species of achelate crustaceans, in the Decapoda Reptantia. 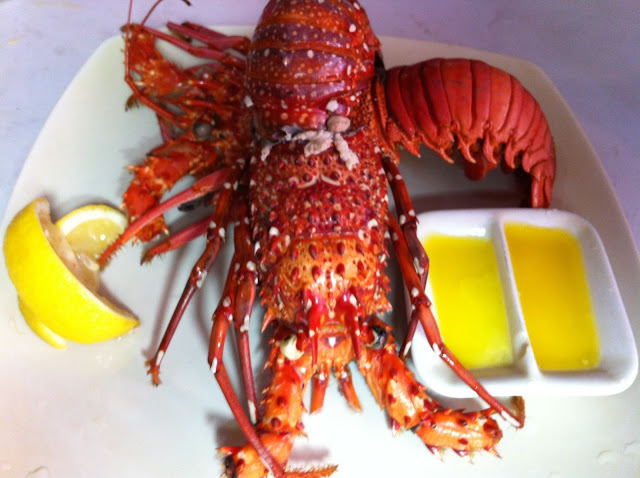 Spiny lobsters are also, especially in Australia, New Zealand and South Africa, sometimes called crayfish, sea crayfish or crawfish, terms which elsewhere are reserved for freshwater crayfish. 2. Boil a pot of water with 1 tbsp. rock salt. 3. Put lobster in boiling water slowly. Heads first then tail. 4. Cook for 10 mins (per pound of lobster), 2-3 lobsters at a time, allowing enough space in between the lobsters. 5. Put lobster on colander and let water drip.